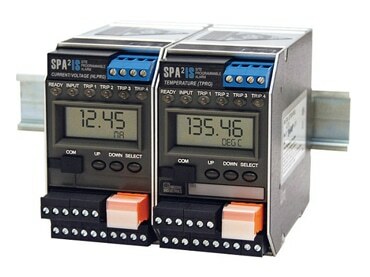 The universal SPA2 Programmable Limit Alarm Trips provide on/off control, warn of unwanted process conditions, alarm on rate-of-change and provide emergency shutdown. Very versatile, they accept a signal input from transmitters, temperature sensors and a wide array of other monitoring and control instruments. 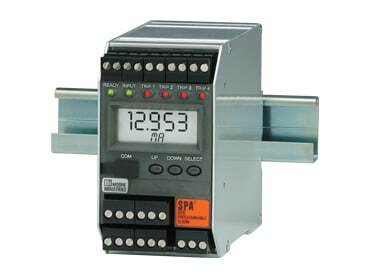 The universal SPA2IS Programmable Limit Alarm Trips provide on/off control, warn of unwanted process conditions, alarm on rate-of-change and provide emergency shutdown. 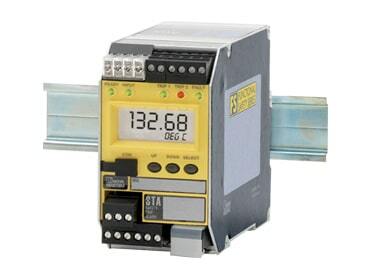 Very versatile, they accept signal inputs from transmitters and temperature sensors that are located in hazardous areas where the method of protection implemented by the plant or facility is Intrinsic Safety.